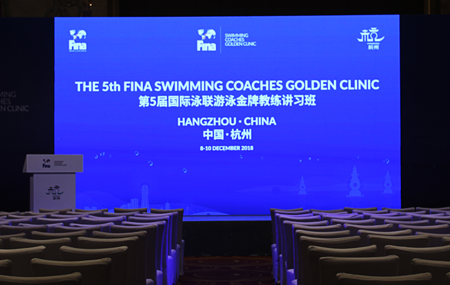 This Saturday, 1,200+ of the leading figures in the world of Aquatics arrive in Hangzhou for the 5th FINA World Aquatics Convention – an exclusive combination of learning, networking and discussion that will shape the future of Aquatics. 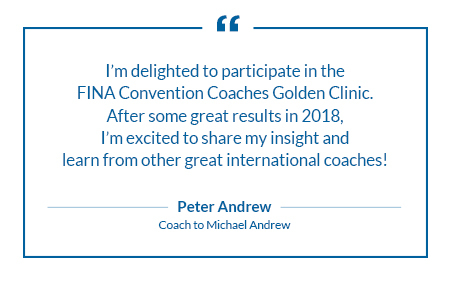 The Convention brings together a fantastic range of speakers, including Peter Andrew (USA), Zhu Zhigen (CHN), Nigel Redman (UK) and Tristan Lehari (CAN) – many of whom are World and Olympic medallists. Each Speaker Presentation is interactive and affords plenty of time for Q&As. If you can’t make a session, you won’t miss out as a video will be available afterwards on FINA’s YouTube. While new business can never be guaranteed, we can guarantee new business opportunities. Now in its 5th edition, the Convention is perfectly set up to facilitate delegate networking. The Exhibition includes 52 companies. They offer different services but share a common objective: to hold as many meetings as possible. A recent survey showed that our Exhibitors aim to host an average of 45 new business meetings during the Convention. What’s more, multiple feature areas are available (Convention Cafe, Recharge Zone, Networking Area, for example) to provide the perfect space for delegates to catch up with friends or meet with potential partners. 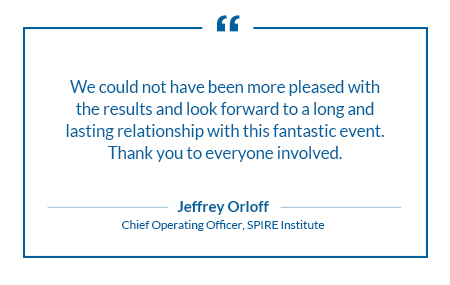 The Convention offers delegates more than just a Conference and an Exhibition – it offers an all-inclusive experience. Alongside numerous Coffee Breaks, Lunches and Cocktail Receptions, there will be plenty of opportunity for delegates to unwind and enjoy the hospitality of the Hangzhou Local Organising Committee. 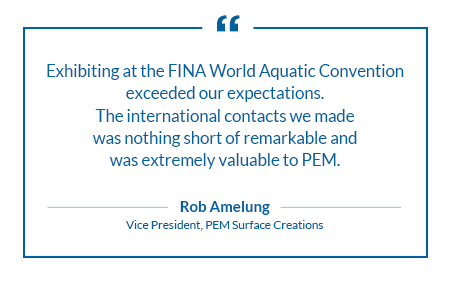 The Conference theme Embracing Innovation – Aquatics in a Global World exemplifies the truly international flavour of the Convention. Delegates from 209 countries are expected and, as well as its international outlook, the entire event is a celebration of diversity. Just take a stroll around the Exhibition to encounter multiple conversations in a stunning array of languages and dialects. 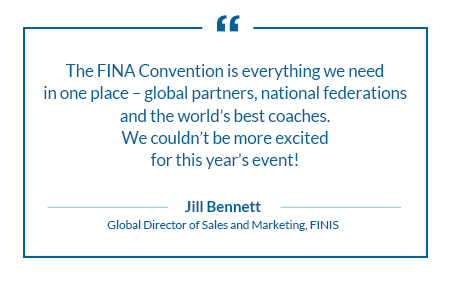 Whether you’ve attended every FINA Convention since its inauguration in 2010, or are attending for the first time, we look forward to welcoming you to Hangzhou. Together, we can make Aquatics stronger!